Thoughtless behavior just won't stack up. Prevent people from stacking fragile boxes with a Do Not Stack Stencil. • Stencil onto almost any surface to send a clear message. Perfect for factories and warehouses. • Durable, reusable 60 mil LDPE polyethylene stencils are easy to clean and remove, even after painting. Insides are polished and burr-free. 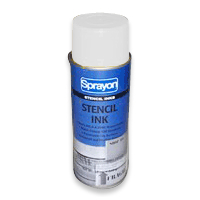 • Portable and affordable, our stencils outlast low-cost oil board stencils.